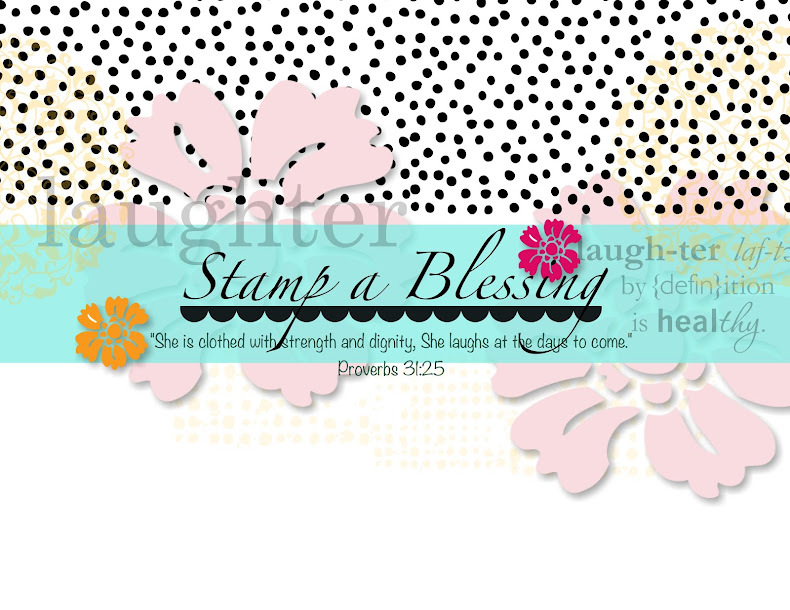 Stamp a Blessing: Starburst Tutorial and Great Discounts! I found (well she found me!) a beautiful friend who lives super close to me and inspires me so much to create beauty around me. I don't think she knows how much she blesses me when she sees something I made and she makes it her own and even PRETTIER! Thanks Cynthia C! I made this card for her last week. She wasn't feeling well. I so want her to feel better so I made her a card and sent a prayer too! Love how bright it looks. Somedays we just need to remember the sun will shine again. 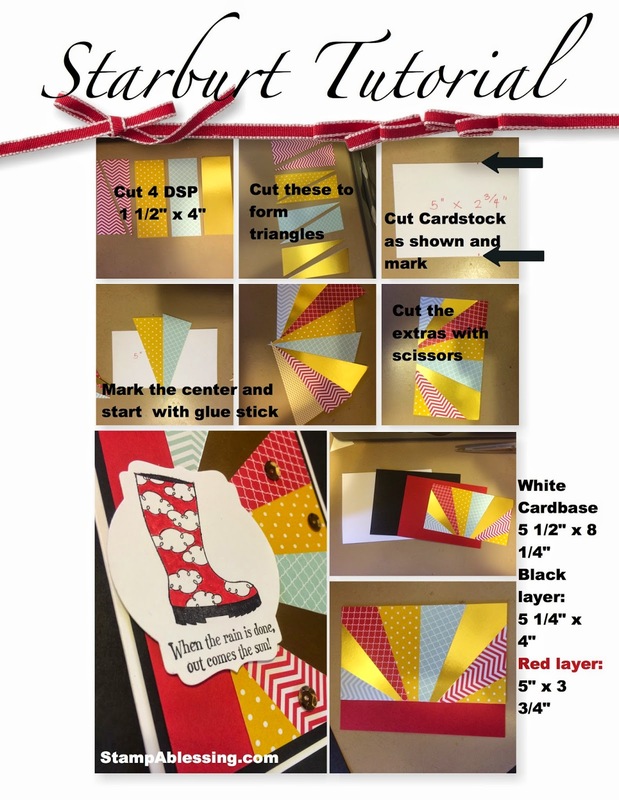 Materials: Brights DSP, Gold Foil Sheets, Stampin'Trimmer, Stampin'Marker in Real Red, Gold sequins. 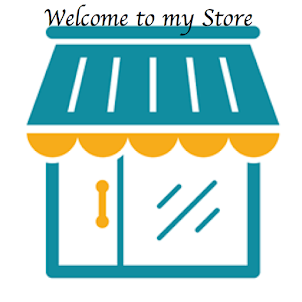 CHECK our My Store! 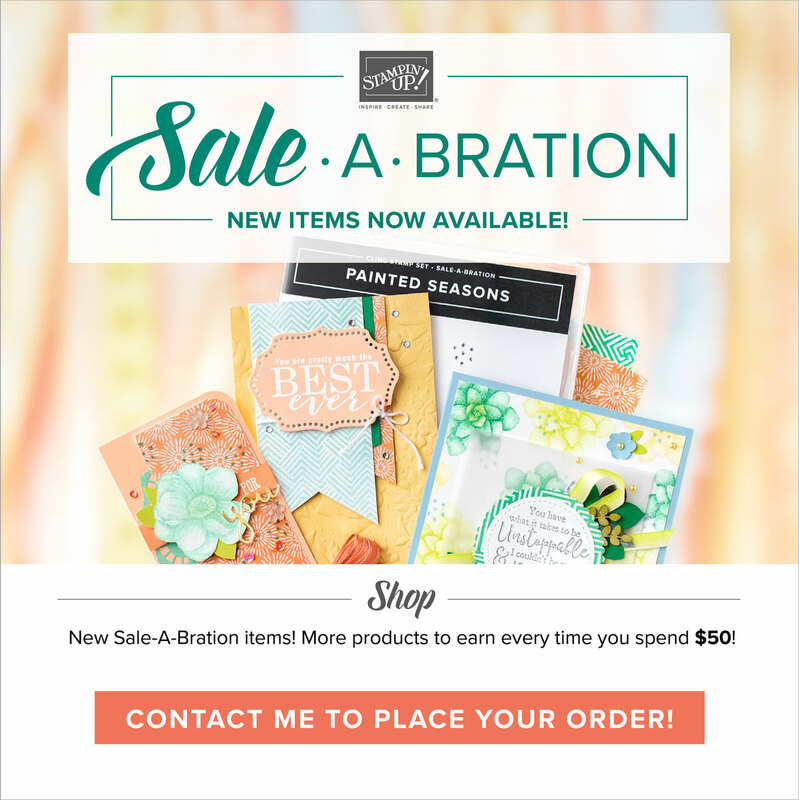 Don't miss these discounts! I made a picture tutorial for you to see and keep. Enjoy! Come back tomorrow for some cool My Paper Pumpkin inspiration! Yay! 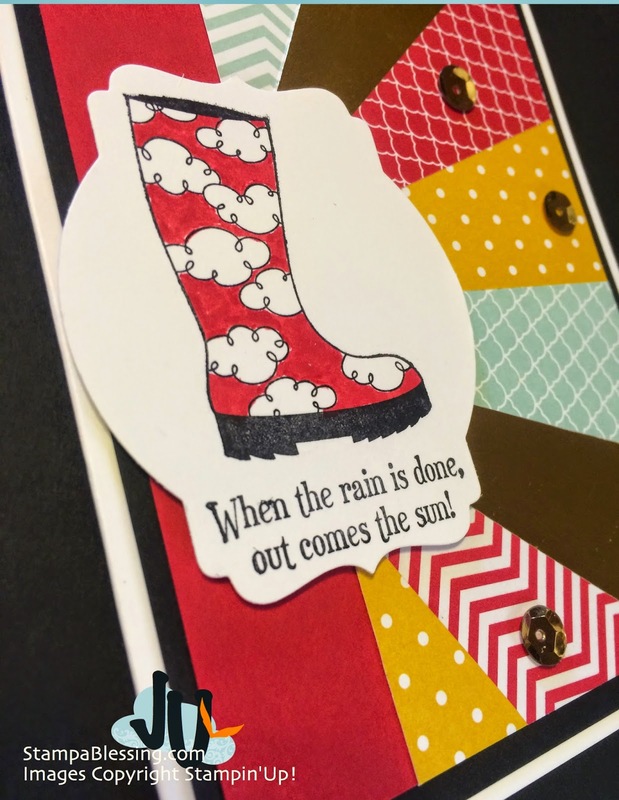 Such a fun card and wonderful tutorial - done like a pro in MDS! TFS. 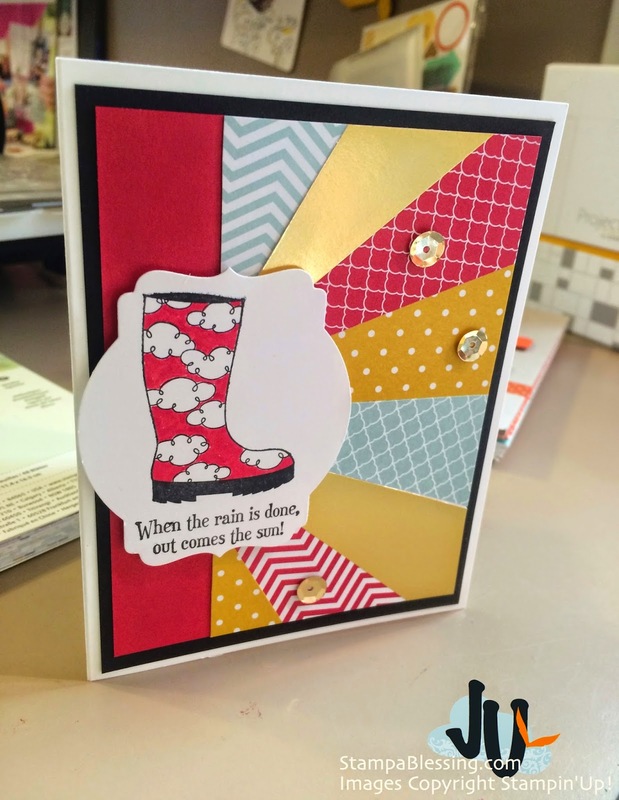 I love your card and sweet story too! Your tutorial is beautiful and so easy to understand, you really "rock all things" my friend! I love it all, TFS!